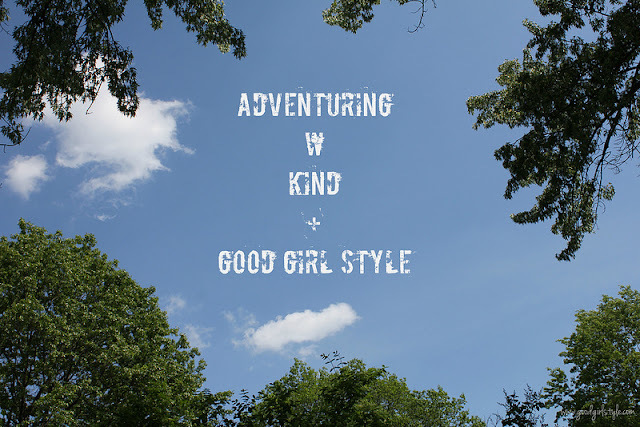 Y'all know how much I love a good adventuring day, be it hiking, trail running, antiquing, going to a local festival...anything unique and fun I find along the way! 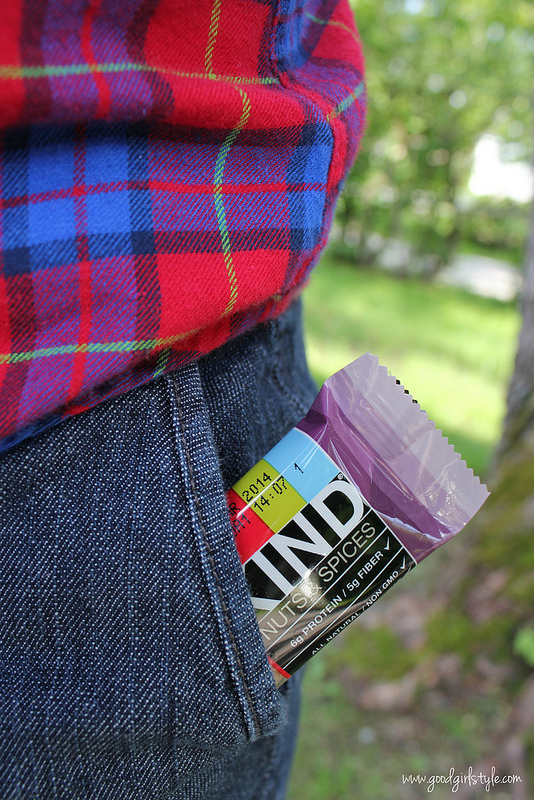 I am always on the lookout for gluten-free, healthful snacks to throw in my bag or a back pocket for adventuring. This is much easier said than done, because all manner of granola and snack bars contain the dreaded gluten. Or taste terrible. Lose-lose. 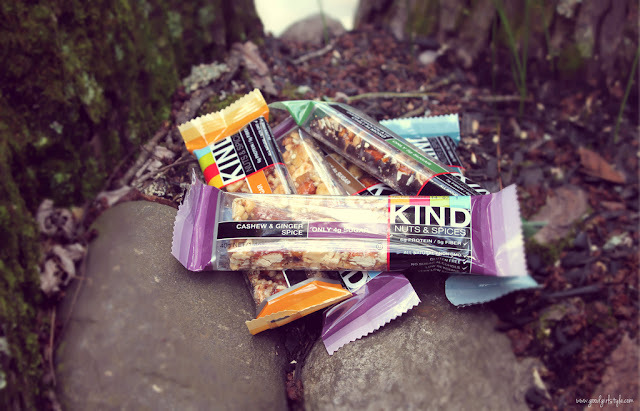 Hello, KIND bars. 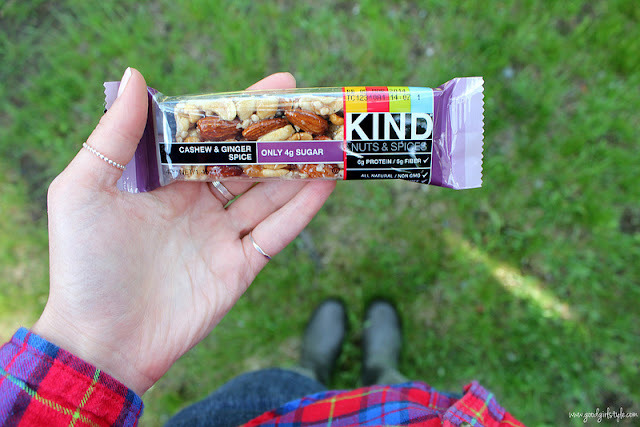 I found KIND bars in an airport a few years ago (which was an extra-awesome find, since gluten-free food in an airport is even harder to come by). I LOVE these bars. I can't get over them...because they are nuts, but they aren't crunchy. They are a bit syrupy to make them chewy, but they only have 4g of sugar. And the flavors? Outta this world. Seriously. Cashew-Ginger Spice. Madagascar Vanilla Almond. Dark Chocolate, Nuts, and Sea Salt. Dark Chocolate Chili Almond. Maple Glazed Pecan & Sea Salt. To name a few! These are bars for the adventuring gluten-free foodie. Win-win-WIN. Their tagline? "Make Junk Food Nervous." This summer, hop on your bike, in your car, in your canoe, or climb a tree and go repelling or zip lining or SOMETHING cool...just go adventuring! Make sure to grab a KIND bar (or two or three 'cause they're that good) to throw in your bag. You will thank me later. 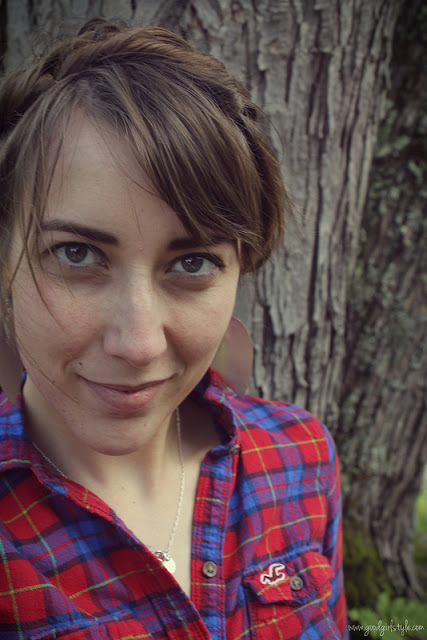 I get to give away a MONTH'S supply of KIND bars to one reader! I kid you not I'm a little jealous because that means approximately 72 KIND bars are yours for the eating and taking-on-adventure-ing. Whatchya gotta do to enter? Take a look at KIND's website and tell me what your favorite flavor is in a comment (one mandatory entry). Bonus entries for following KIND snacks on Facebook and/or Twitter and me on any social media channel. Just leave me a separate comment for each entry. Giveaway open until midnight EST, Monday, June 10. Open to US residents. These look amazing! I think my favorites would be the Peanut Butter Dark Chocolate or the Dark Chocolate Cinnamon Pecan, but I want to try them all! And I finally joined the 21st century, and I'm following you on Twitter now. Only for you dear. Actually, only for those KIND bars. I LOVE the blueberry KIND bars - and, even better, I love that Starbucks carries them, so when I need a snack to go with my coffee they've got me covered! I follow KIND on facebook. Dark chocolate nuts and sea salt! Dark chocolate, nuts, and sea salt! I liked kind bars on facebook. The organic section of my grocery store in my tiny town carries a few varieties of Kind bars but you have opened my eyes to so many flavors! I want to get in on that Dark Chocolate Cinnamon Pecan! I LOVE Kind bars! My fave is the almond and apricot, but they have some pretty awesome ones online! I love the dark chocolate and sea salt flavor. honestly, all the flavors look delicious, but dark chocolate, nuts, and sea salt looks irresistible!